From Mahabalipuram in the afternoon we left for Chidambaram which is at a distance of 145 kms, via Pondicherry. Unfortunately it was past 6 p.m when we reached Pondicherry. Hence could not see much of this place other than a few. From here we moved to Cudlore where we had our rooms booked for overnight stay. Early morning we left for our destination. Chidambaram, known as the 'City of the Cosmic Dancer' as the ancient Nataraja Temple of the dancing Shiva is located here. 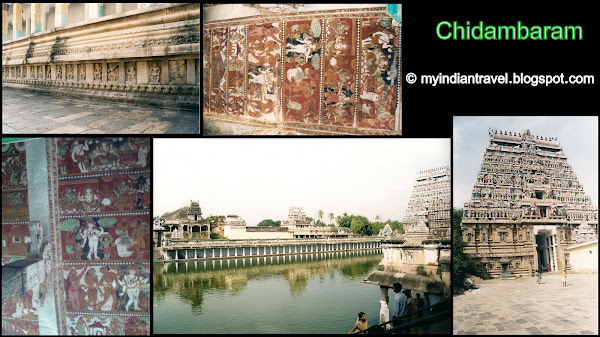 Chidambaram is a center second to none in representing the rich cultural heritage of India. The artifacts hand created from here are rich in quality and artistry. Above is one of the four entrance towers of the temple. The details in that second shot are amazing. Hopefully we'll see more from this place! Amazing mighty temples, beautiful pics .. Wonderful photo and mosaic, Rajesh! The detail on the temple is just amazing. Great post, have a great week! My best rehgards from Romania! I love your photos so much as I feel like I am on a trip to India! Excellent capture on the temple tower and interiors! I visited this temple very long back to remember anything. I just can't believe the detail!! Boom & Gary of the Vermilon River, Canada. You do indeed have a beautiful world, Rajesh! What an incredible place Chidambaram is!! Marvelous captures as always! Hope you have a great week! You live in such an interesting world, Rajesh. You always have something different to photograph. Wow - that soaring temple is amazing! Love the name 'city of the cosmic dancer'. Have been to Chidambaram earlier, but went to the Nataraja temple 1st time on my Bday this year :) Wish i had more time to explore the vast campus, but was a good beautiful experience being there... hearing about the chidamabara ragasiyam etc.. 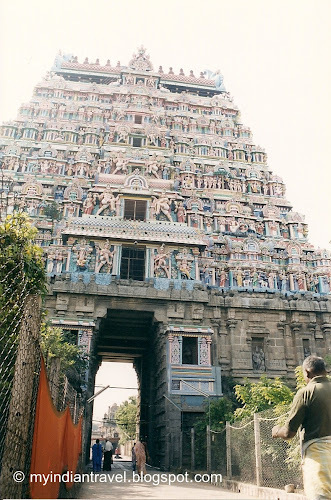 Wonderful photos, I love those wonderful temples of Chidambaram. Greetings. looks like a wonderful temple full of history. there is always s much going on in those buildings it is mostly too overwhelming. You need a lot of time to actually see them. Another fascinating post. I like the term, "Cosmic Dancer." The buildings and carvings are gorgeous, as usual! You have written a great post about the Indian art of religious buildings. Thank you! Wonderful post featuring a fabulous temple! Stunning work of art.Beautiful photos. In Singapore, and Malaya, they have similar temples like your last photo. Thank you all for appreciating this wonderful city. O que mais me encanta é a majestade e a imponência da arquitetura desses templos. Really,your post brings out all the fragrant auspiciousness of "The Cosmic Dancer".A very nice post with a good flow. Exquisite architectural detailing. Beautiful collage.. Thank you all for the appreciaation.